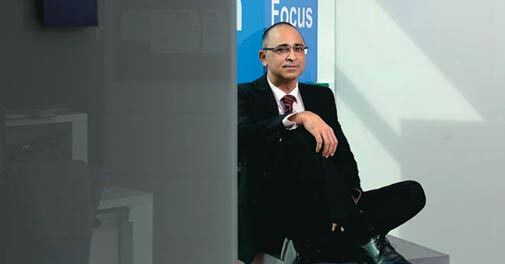 Sandeep Girotra, Vice President and Head of India, Nokia Solutions Network, talks about the 'firsts' in his life. J.R.D. Tata. His contributions as an entrepreneur, nationalist and social activist are truly inspiring and unparalleled. As a sales engineer with Tektronix India, a test and measurement equipment company. Getting hands-on experience in the field was truly enriching. My first boss was the sales manager with whom I began my first job. He told me that the job of the manager is to reduce complexity and make things simpler. It is something I value and try to follow even in my present job. My first promotion was to the post of sales manager. I remember being ecstatic on hearing the news. It meant exploring new markets and being responsible for my own numbers. My first disappointment was a sales engagement in my early days. The outcome was not what I expected. No doubt, various external factors led to that development. Still, it was a great opportunity to learn the art of managing. As the saying goes, "When you lose, don't lose the lesson".